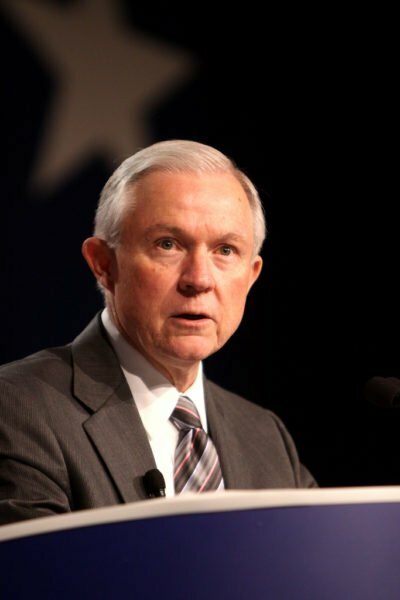 Home Tags Posts tagged with "jeff sessions and russia"
According to the DoJ, Jeff Sessions met Russia’s ambassador during Donald Trump’s presidential campaign, despite telling his confirmation hearing he had “no communications with the Russians”. The justice department confirmed Jeff Sessions met Sergei Kislyak in July and September 2016 as part of his role on the Senate Armed Services Committee. On March 1, Attorney General Jeff Sessions said his comments at his confirmation related to his role on the Trump campaign team. Democrats accused him of lying on oath. They said Jeff Sessions must resign, and also called on him to step aside from an investigation by the FBI – which he oversees as attorney general – into alleged Russian interference in the US election, including contacts between Russian officials and those involved in campaigning. The US intelligence community has concluded that alleged Russian hacking of DNC was carried out to help Donald Trump defeat Hillary Clinton. Donald Trump’s National Security Adviser, Michael Flynn, was fired last month after he misled the White House about his conversations with the Russian ambassador, allegedly regarding sanctions against Moscow. As reported in the Washington Post and confirmed by the justice department, Jeff Sessions met Russian Ambassador Sergei Kislyak as a member of the Senate Armed Services Committee twice last year. The Post reports that they held a private conversation in Jeff Sessions’s office in September and had spoken earlier in the summer at a meeting with several other ambassadors. Jeff Sessions had meetings with more than 25 foreign ambassadors in the course of the year. However, Jeff Sessions’ meetings with Sergei Kislyak came while he was a prominent part of Donald Trump’s campaign team – a so-called surrogate – and amid growing reports of Russian meddling in the US election. DoJ spokeswoman Sarah Isgur Flores said there had been “absolutely nothing misleading about his answer” at the confirmation hearing. Jeff Sessions was also backed by the White House, which condemned the “latest attack against the Trump administration by partisan Democrats”. Democratic House Minority Leader Nancy Pelosi accused Jeff Sessions of “lying under oath” and demanded he resign. While Congressman Adam Schiff, the top Democrat on the House intelligence committee, said that if the reports were accurate, Jeff Sessions must withdraw from the FBI investigation. Nikolai Lakhonin, press secretary of the Russian embassy in Washington, said the diplomatic mission did “not comment on numerous contacts” between Russian diplomats and “local partners”, Russia’s Interfax news agency reports. News of Jeff Sessions’ meetings broke just after a congressional committee agreed to an investigation into Russia’s alleged interference in the election. The House intelligence panel inquiry will scrutinize contacts between Donald Trump’s presidential campaign and Moscow. The White House denies any improper behavior during the election campaign, and Russia has consistently rejected allegations of interference.